Think “Darjeeling” and you’re likely to conjure up various images; for some, it may be an afternoon tea, whereas others may picture a colonial hill station amongst the shadow of the Himalayas and a riot of Indian colours. The climb to Darjeeling from the Indian plains is no easy journey and, back in the 1870s, ambitious engineers built a railway to help make the trip easier. Clinging to a rocky ledge, the railway spans over the hillside for an impressive 40 miles, crossing ravines on tall thin bridges and, in some towns, running right through the middle of the street. Observing how the railway scales the mountainside truly is a sight to behold; indeed, in some places (such as Tindharia, for example) it spirals around on itself in order to gain height. Today, the Darjeeling Himalayan Railway is registered as a World Heritage Site, further demonstrating the region’s wonderful transformation and the line’s incredibly impressive engineering. Visiting the railway today is a truly unique experience. Watching brightly coloured street markets interrupted by the occasional steam train travelling through the middle is a remarkable sight. In fact, rail holiday enthusiasts wanting to ride along this line should pay a visit to Ffestiniog Travel which organises a variety of tours to experience travel in India. Built in Scotland, the steam engines have now been adopted by their owners and embellished in a way that oozes classic Indian style. Although there were dozens of these rather special looking engines, they are seen as an iconic design and symbolic of this wonderful railway. Only one has ever left India; the No. 19B which was bought by a wealthy American and exported to the USA in the 1960s. Years later Adrian Shooter, an accomplished railway businessman, arrived on the scene. With a full size Indian themed railway in his Oxfordshire garden – yes, really! – he was keen to own one of India’s iconic machines. Eventually, he purchased the No. 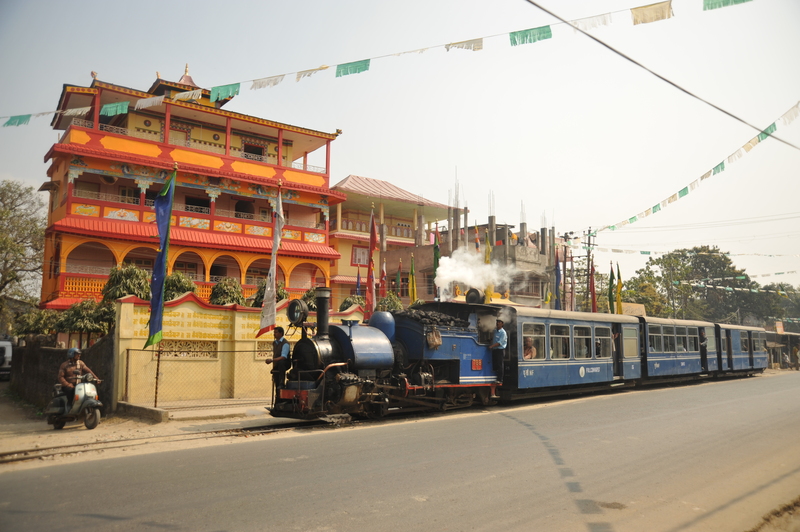 19B and today, it’s part of his collection together with two replica Darjeeling Himalayan Railway carriages. India’s Darjeeling Himalayan Railway was actually inspired by our very own Ffestiniog Railway and, over the coming spring, a little piece of India will arrive in Snowdonia. Adrian Shooter is a keen supporter of the Ffestiniog and Welsh Highland Railways and we are delighted to announce that he has very kindly agreed to lend us his most prized possession; the No. 19B engine. 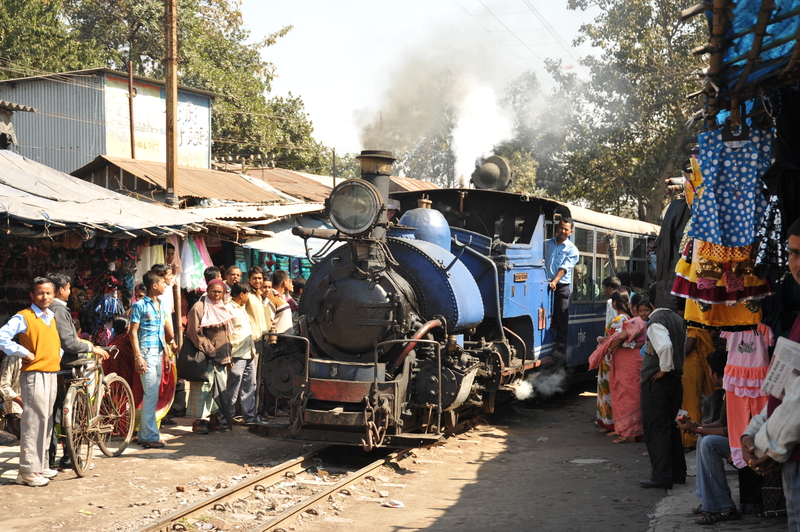 Spring brings an opportunity to experience India in Snowdonia when the Darjeeling engine No. 19B will be paying us a visit. 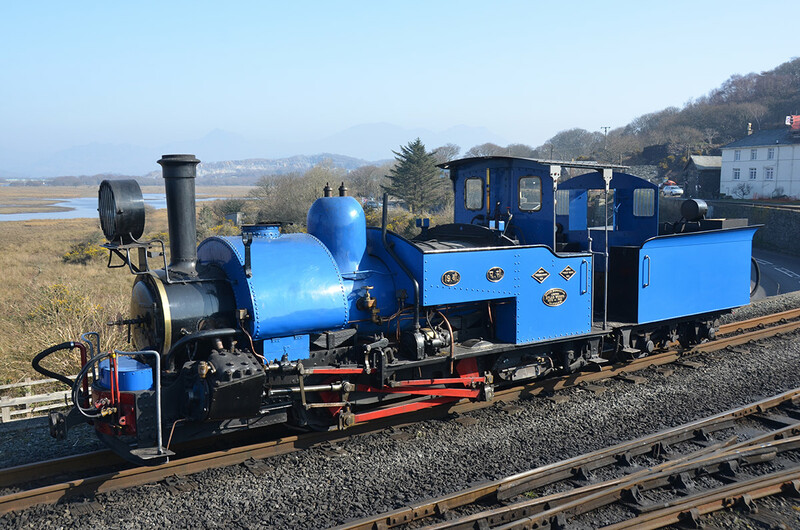 As part of the Easter family activities, the engine will be on the station in Porthmadog where visitors can get a real first-hand experience by riding on the footplate or taking a short train ride behind it. North Wales will play host to the engine throughout May when it will be out and about on several charters. The real chance to ride behind it comes during the May bank holiday weekend when it will be pulling trains every day. For more news on how to get a taste of your very own ‘Marigold Hotel’ experience, please feel free to get in touch or visit our Facebook page. The engine crews and other staff on the DHR mainly speak Nepali. Am I the only Nepali speaking FR volunteer? I expect you are definitely in the minority though we do have several members of the DHRS who are also volunteers so you never know. we are a talented bunch.